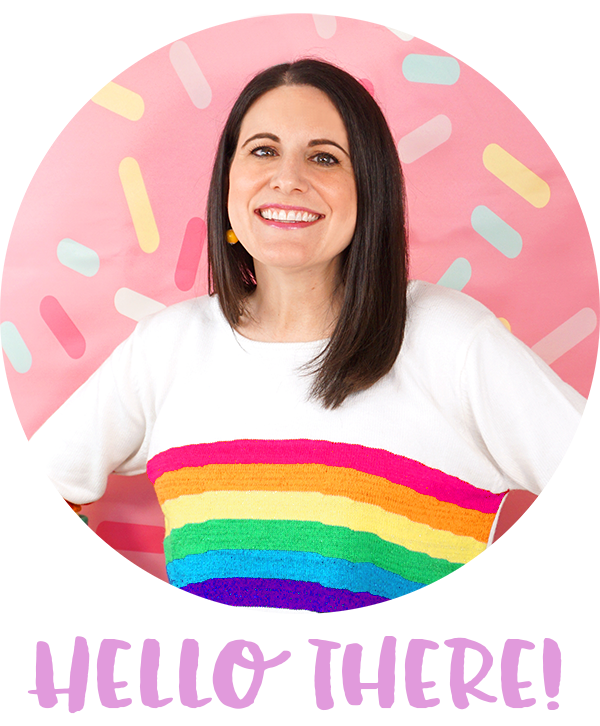 This post originally appeared on Tatertots & Jello, August 2015. 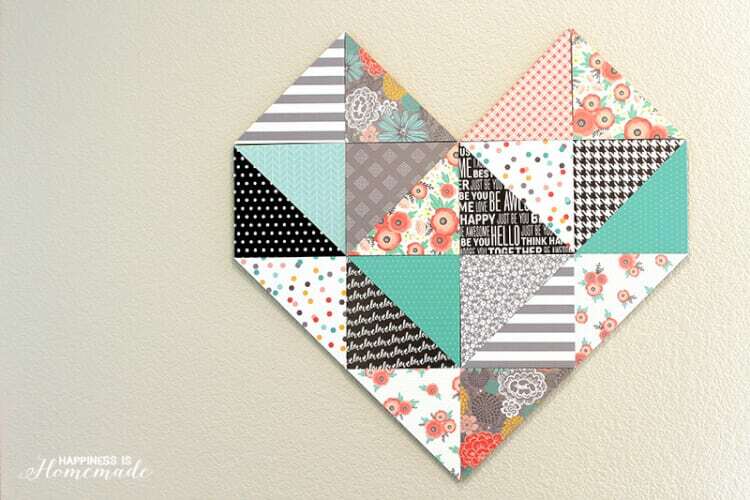 This easy DIY geometric heart wall decor is reminiscent of quilting with wood and paper, and is a whimsical addition to your home. Hi, everyone! 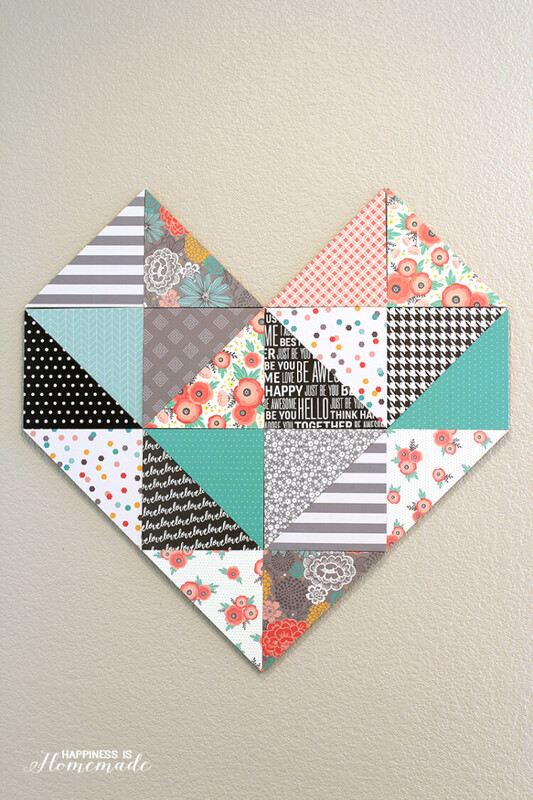 Today I’m sharing how to make this adorable geometric heart home decor piece using papers from Jen Hadfield’s Home+Made collection from Pebbles, Inc. I’m head over heels for everything in Jen’s line of products, but I especially love these gorgeous papers. 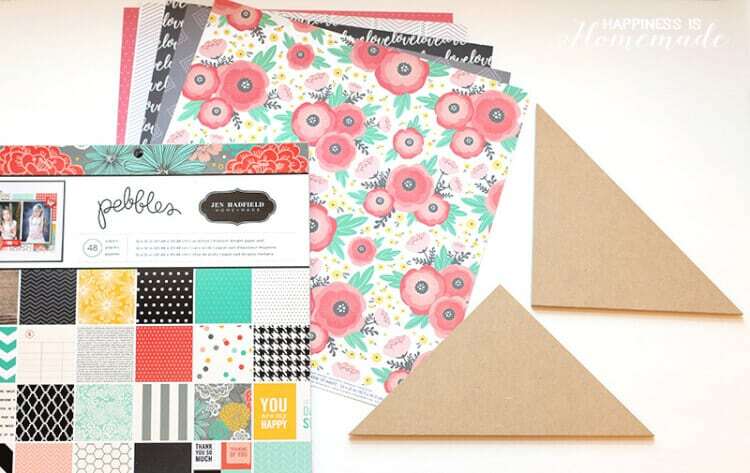 I knew I wanted to use them right away for this large statement decor piece (perfect for showing off all of those lovely patterns) or else they might fall victim to my pretty paper hoarding tendencies! 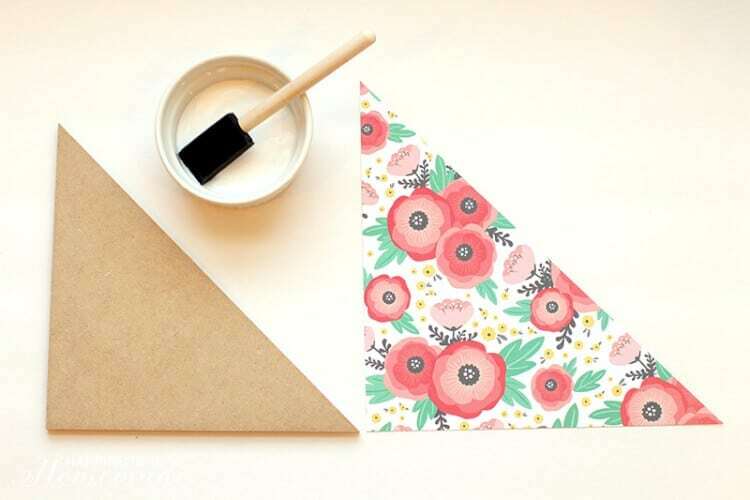 Start by cutting the paper into 8″ squares, and then cutting the squares into two triangles by cutting corner to corner. 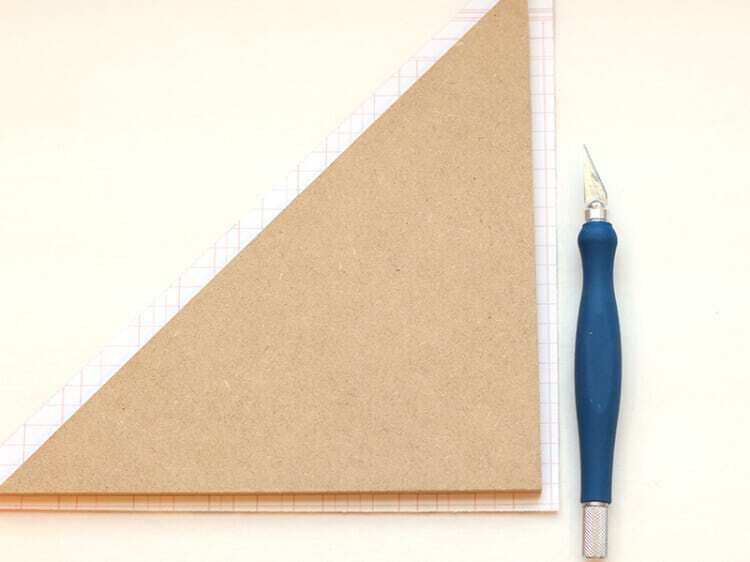 This will give you a piece of paper that is just slightly larger than the wooden triangles (it’s really handy to have a little bit of excess overhang so that you don’t have to be too precise when placing the paper down.). 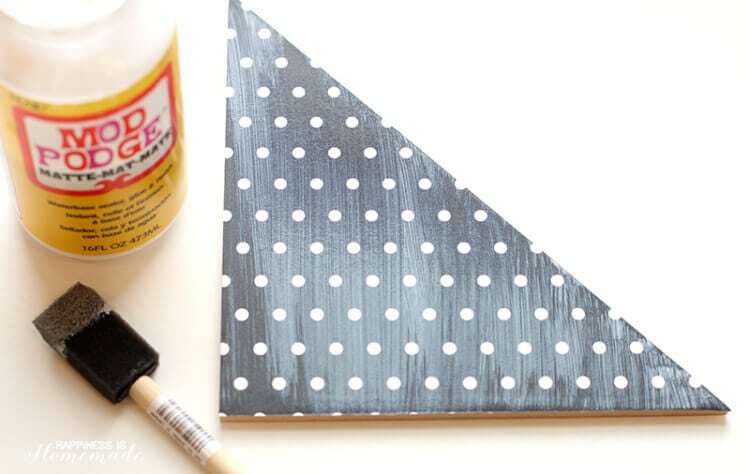 Brush a thin coat of Mod Podge on to the wooden triangle, place the piece of paper on top, and apply gentle pressure with your fingers to smooth out any air bubbles. Allow the Mod Podge to dry for a few minutes, and then use an Xacto knife to trim the excess paper. 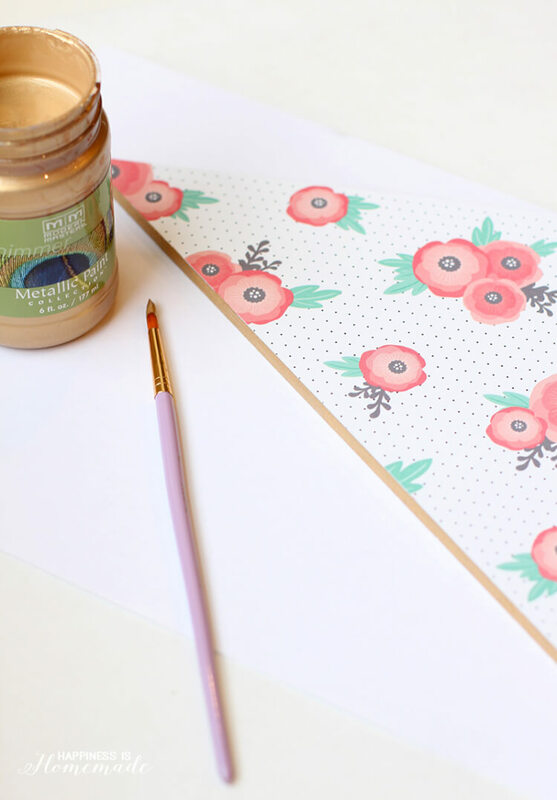 Add another thin layer of Mod Podge on top of the paper to seal the edges and protect the surface of the paper. Allow to dry completely. The edges of the triangles were unfinished wood, so I used my favorite Pale Gold Modern Masters Metallic Paint to give them a bit of shimmer and shine. 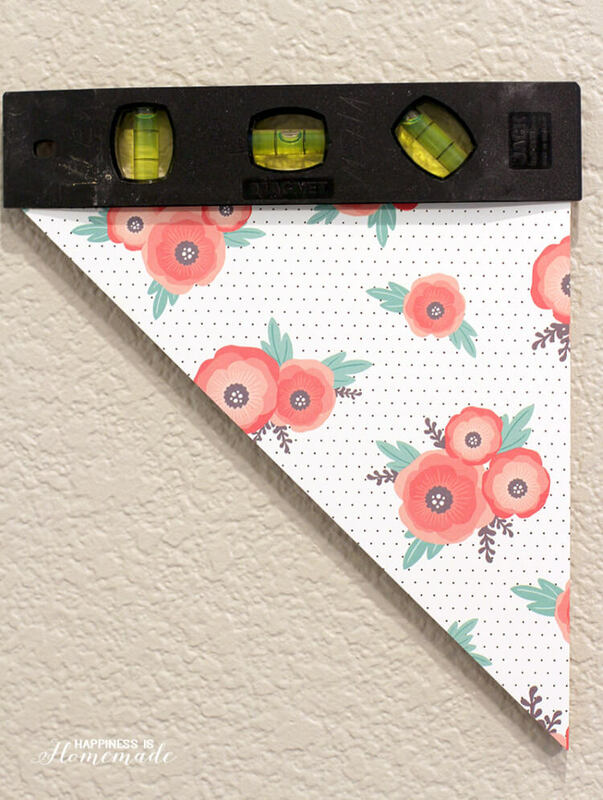 The triangles hang easily on the wall with Command Picture Hanging Strips (one strip per triangle). Use a level to make sure that the two bottom base triangles are level. Once the bottom triangles are level, the other pieces will fall easily into place. Just keep sticking them to the wall row-by-row with the Command Strips until you’re finished. Easy peasy! I still can’t get over how gorgeous these papers are! 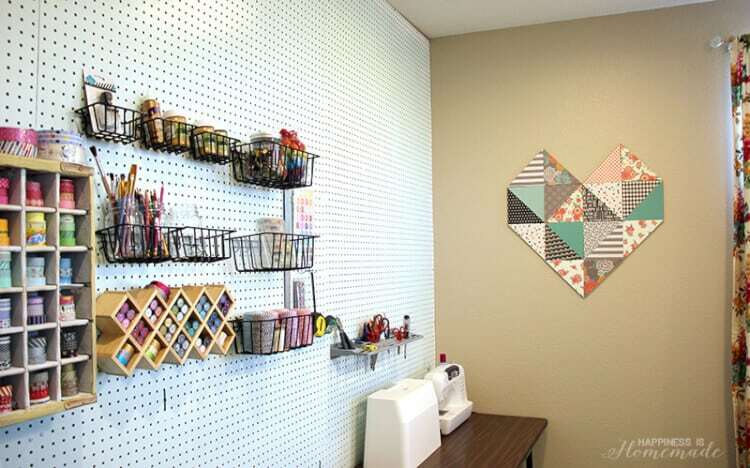 It’s kind of hard to tell in the close-up photos, but the heart takes up about 30″of wall space in my (still-a-work-in-progress) new craft room. 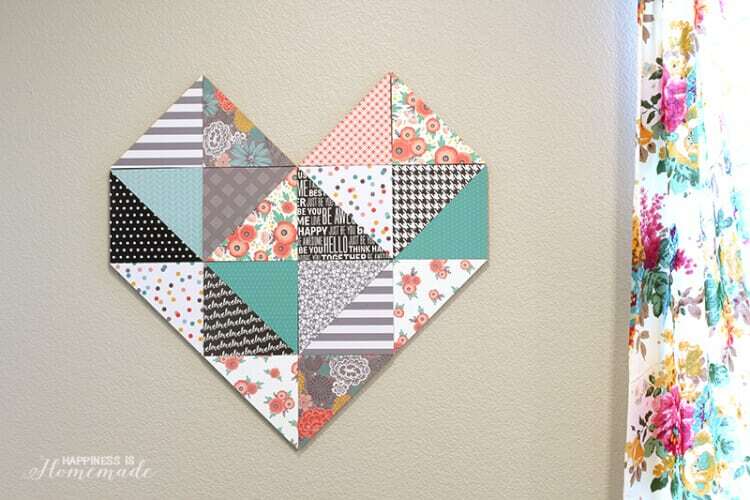 The process of making this heart reminded me of piecing together a quilt, so it makes perfect sense that it’s hanging over the sewing corner of the room! Love love love this! 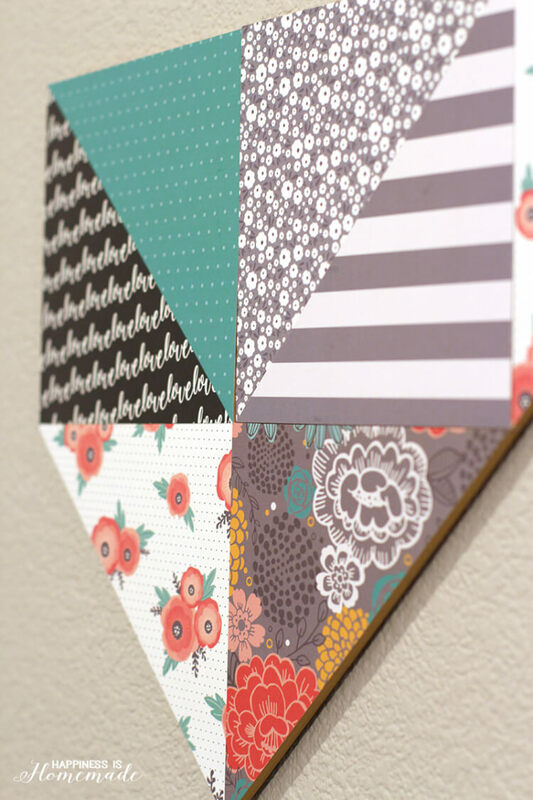 Might have to get myself some more MDF triangles! That seems like it would be a lot of fun to make! I would love to make myself something like this to decorate one of my rooms. My home is a bit bland right now, and I need to start decorating!